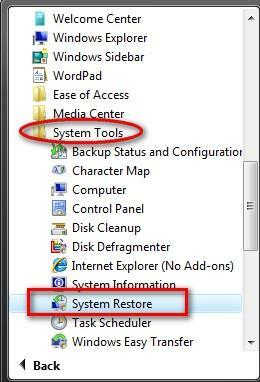 First, type 'system restore' in the Start Menu search field and press Enter or click on the search result. Alternatively, you can go to Start Menu -> All Programs -> Accessories -> System Tools -> System Restore. The main System Restore window will now open. Click on the 'open System Protection' link shown below. In the new window you will see a list with all your partitions and when was the most recent restore point created. Each partition on which System Restore is enabled has a box checked on its left. 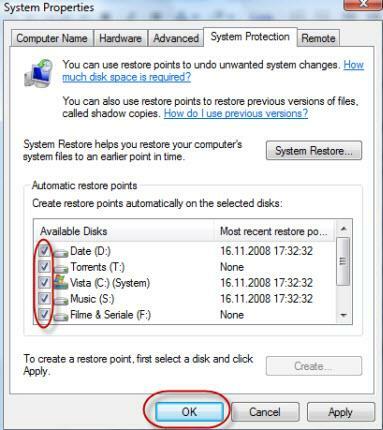 To disable System Restore on any of the selected partitions you need to uncheck those boxes. Unchecking all boxes will mean that System Restore is completely disabled. When you uncheck a box, you will receive a warning like the one shown below. 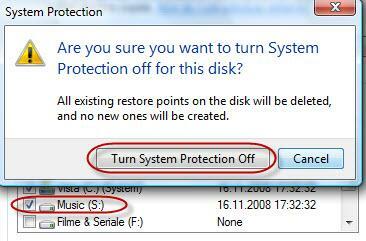 Click on 'Turn System Protection Off' and System Restore will be disabled. NOTE: Unless you use other system recovery tools, it is recommended to leave System Restore enabled at least for your main system 'C:' drive. Enabling System Restore on other partitions than the 'C:' drive is very easy. In the System Protection tab, simply check the other partitions for which you want to enable it. 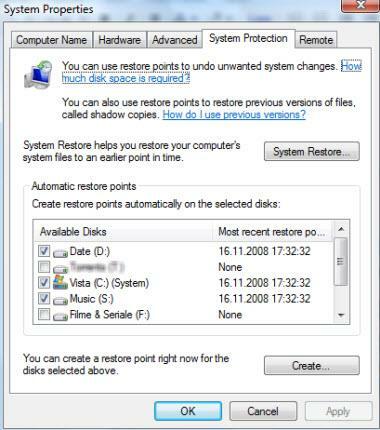 When done, click on OK. From now on, System Restore will create restore points for all the partitions that you have selected. On "C:" there is a hidden folder called "System Volume Information". There all System Restores points are saved. My computer is Hihhjacked by MS Removal Tool. File ashDisp.exe was infected, Please activate your antivirus software. Well, that dosent work either. Try to re install antivirus and the cd drive will not work. Nothing works except to go with these highjackers. on my system properties folder, the only tabs i have are "computer name, hardware, advanced, and remote", but no "system protection" tab. when i try to use system restore, i get the message "system restore has been turned off by group policy. 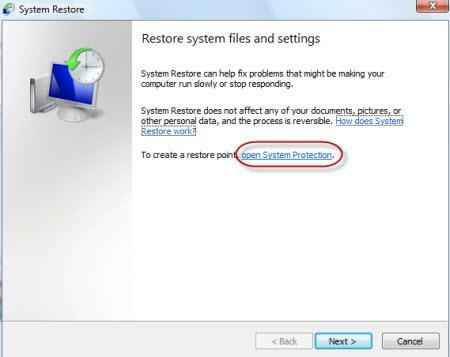 to turn on system restore, contact your domain administrator."